"9 And God said, 'Let the water under the sky be gathered to one place, and let dry ground appear.' And it was so. 10 God called the dry ground 'land,' and the gathered waters he called 'seas.' And God saw that it was good. 11 Then God said, 'Let the land produce vegetation: seed-bearing plants and trees on the land that bear fruit with seed in it, according to their various kinds.' And it was so. Creation Day 3 - Land, Seas and Vegetation Theme Activities begin Here! Place paper over leaves that are on your table. Tape the paper in place. The children color the entire paper with the sides of crayons or the sides of fat markers to show the outline of the leaves. Paint with Land, Sea and Vegetation today! Mix some sand into blue and green paint. Have the children paint with branches. The children dip the veggies into paint and "stamp" on paper with them! Add trees and play fruit and veggies to your block area today! Tell the account of Genesis 1:9-13 in your own words and hand motions! Spread hands out when saying land, make wave motions when you say seas or waters, stretch up high when you say trees. Add flowers to the vegetation part-- bend over and pick some imaginary flowers! Pass the soil around for the children to feel and smell! Do the same with the tree branch. Offer the children a small cup of water to drink while you read the Bible account today! Bring a carrot that has some green on the top, a cup, a ruler, a cutting board, a knife and water. Pass the carrot around and ask the children what it is, where and how it grows, etc. Ask them if they think you all can grow some? How? Cut the top off. Place in a shallow cup of water. Measure how tall it is and record it on a paper. Place this in your science center with the paper. Observe over the next week, measuring and recording each day and making sure water stays in it! Materials needed: Provide different types of colorful vegetables: Colored peppers, broccoli, carrots, lettuce, grape tomatoes, etc. Discuss each one...color, size, shape etc. while the children help you to wash and cut them. Place each in a separate bowl. Let the children use tongs to choose some to have for snack. Today, give the children green paper to make leaves; brown paper to twist into vines and add them to the outside of the box. Inside the box, provide pillows and some books! How about some preschool yoga today! Tree pose! Hand in front of your chest, palms together (like praying) and one foot up and rested on the inside of your knee! Try some other stretching to be the Land (laying on the floor, rolling around like sand on the beach) and the Sea (be a wave, be splashing water!). Creation Day 3 - Land, Seas and Vegetation Theme Activities to help your Preschoolers develop those small muscles in their hands! Cut the cardboard into beach, waves, leaves and cloud shapes. Hole punch around the edges. Provide shoe laces for some lacing and "counting the holes" fun! Find leaves from outside and bring them in! Provide several bowls for the children to sort the leaves by shape, color, size, etc. VARIATION: Make your own leaf shapes. Makes pairs of shapes for the children to match colors, letters, numbers, etc. Make small medium and large for children to seriate in ascending or descending order! Creation Day 3 - Land, Seas and Vegetation Theme Music and Movement Activities and Ideas to get your Preschoolers Movin' and Groovin'! Creation Day 3 - Land, Seas and Vegetation Theme Activities for the Senses! If possible, go outside for a walk! Gather some rocks, leaves, and other nature items. Bring them inside and add them to your sand table! Put soil in your sand table today. Hide large, dried beans in the soil. Provide sifters, spoons and cups. Creation Day 3 - Land, Seas and Vegetation Theme Science Activities--for your Preschool Scientists in Training! Provide different types of seeds, a bin of potting soil and a spray bottle. Let the children plant seeds today! 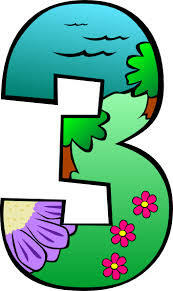 Writing Activity Ideas for Your Creation Day 3 - Land, Seas and Vegetation Theme! Use the land to print names! Print "God" on a large paper (fingerpaint paper works well). Have the children follow the letters with a glue bottle. Have the sprinkle sand on the paper and shake off! Pretty cool! God created the land!